Description: This Stag Arms Stag-15 (LEFT HANDED) 1L is a semi-auto rifle that fires the .223 round. 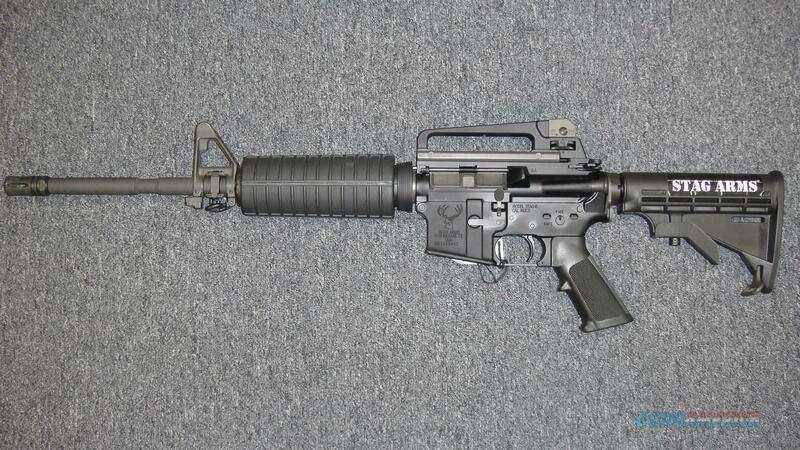 It has a 16" M4 barrel and black finish. It is new and comes with one 30 round magazine, removable half height carry handle, side mount sling attachment, adjustable stock, hard case, and manual.